"... a pianist’s love note to a noteworthy voice ... an intimate reinvention issuing from someplace deep inside the music ... celebrates an artist with an evasive relationship to genre. It takes one to know one, as they say." "With some starry guest vocalists, Hancock pastes a selection of Mitchell tunes, plus standards, on to a high-octane ensemble (including Shorter) that aspires to the zeniths of the mid-1960s Miles Davis quintet. Sublime stuff ... accompanied by Hancock's peerless acoustic piano." "... unequivocally jazz ... quite simply, a superb disc that takes Joni Mitchell's extant jazz proclivities and gives them an even greater interpretive boost ... (Both Sides Now) defines the album's elegant but intrepid spirit ... both classic Hancock and proof of the potential for Mitchell's material to be taken even further into the jazz sphere, with a group that respects the writing while viewing it as grist for greater liberties." 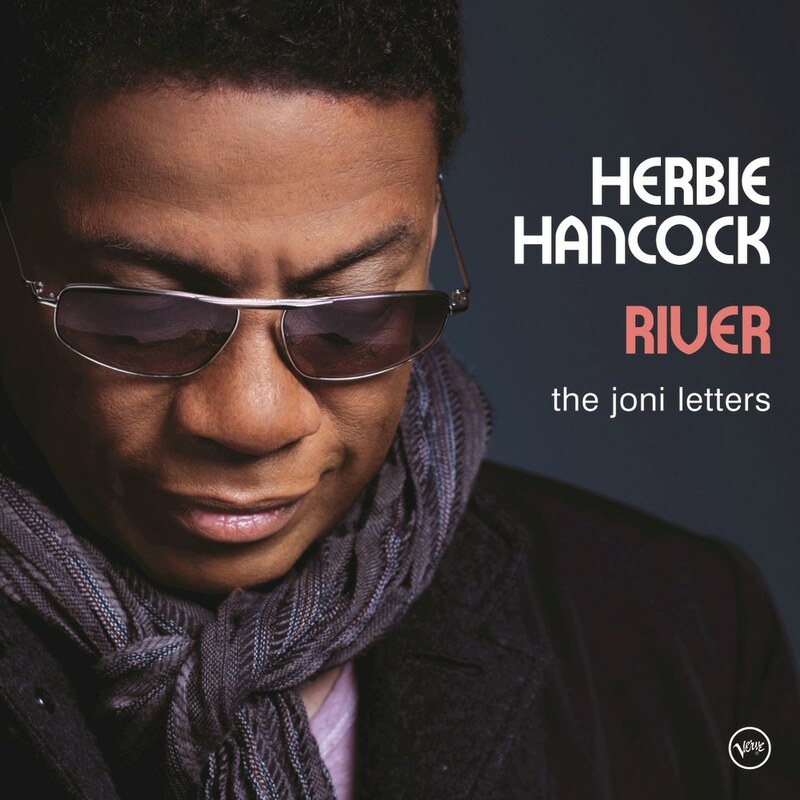 The shocking winner of a Grammy Award for Album of the Year in 2008, Herbie Hancock's tribute to Joni Mitchell was only the second jazz album in Grammy history to win the coveted award. The resulting publicity and exposure propelled the album up the Billboard chart where it peaked at number five following the Grammy presentation. Co-produced by Mitchell's own producer and ex-husband Larry Klein, River features Mitchell sideman Wayne Shorter on saxophones and a cast of vocalists including Norah Jones, Leonard Cohen, Tina Turner and Mitchell herself.